What is the advantage of following the early church’s approach to decision making? No matter who has the final authority to make decisions in your church, adopting early church attitudes can make the process both unifying and edifying. An important role of first-century church leaders was to build congregational consensus. The mind of Christ is more likely found when the leaders guide the whole congregation to wrestle corporately with major decisions. Unity is strengthened. The Spirit is given free rein to guide the church. Leadership’s role in this process includes helping to build consensus by teaching what Scripture says on various issues, privately talking with church members about decisions, appealing to those who differ and—after much persuasion—calling on any dissenting minority to yield to the elders along with the rest of the congregation. Church members are encouraged and fulfilled as they realize that everyone’s thoughts and inputs are respectfully weighed in accordance with Scripture. An elder must lead with a servant’s heart. Jesus offered Himself as an example for church leaders to follow: “Who is the greater, one who reclines at table or one who serves? Is it not the one who reclines at table? But I am among you as the one who serves.” On another occasion, Jesus washed the disciples’ feet. Why did He do this? It was to make the point that anyone who wants to be a church leader must first learn to be the servant of all. He said: “You call me Teacher and Lord, and you are right, for so I am. If I then, your Lord and Teacher, have washed your feet, you also ought to wash one another’s feet. For I have given you an example, that you also should do just as I have done to you. Truly, truly, I say to you, a servant is not greater than his master, nor is a messenger greater than the one who sent him. If you know these things, blessed are you if you do them.” Do you want God’s blessing on you as a church leader? Then do what Jesus modeled and wield your authority with a servant’s heart. Church leaders were given little prominence in the epistles. Paul’s highly theological epistle to the Romans was addressed simply to the “saints” in Rome (1:7), with no special mention of the shepherds. In Romans 13, Paul brought up submission to the civil government, but never mentioned the church submitting to its elders. In Romans 15, Paul expressed to the whole church his intent to visit. Can you imagine the indignation that would take place today if someone like Billy Graham wrote to an entire church that he was soon to visit, rather than writing specifically to its leaders? The two letters to the Corinthian congregation were addressed to the entire “church” (1Co 1:2, 2Co 1:1), with no mention of its leaders in the greetings or anywhere throughout the entirety of the letters. This is all the more remarkable when one considers that these two epistles deal with many leadership matters: church discipline, marriage, divorce and remarriage, abuse of the Lord’s Supper, giving, and how to conduct a worship service. The greeting in Galatians 1:2 was to all the “churches” in the region of Galatia, with no mention of any leadership. The readers were addressed throughout the book simply as “brothers.” This is because shepherds are sheep, too. The “saints in Ephesus” were the designated recipients of that letter (Ep 1:1). The importance of pastor-teachers was mentioned in 4:11, but pastor-teachers were not written to directly. If ever there was an appropriate place to instruct the church to submit to and obey its elders, it would arguably have been in Ephesians 5-6, where Paul instructed women to submit to their husbands, children to obey their parents, and slaves their masters. Yet it is missing. Could this be in keeping with Jesus’ words that a church leader has the same authority as a child and slave? Philippians 1:1 breaks the pattern of leadership neglect: the deacons and overseers were greeted along with the saints. However, no other mention was made of these leaders, nor was anything written directly to them in the letter. The salutation of Colossians 1:2 was simply to “the saints and faithful brothers.” Nothing was written directly to or even about the leaders. Chapters 3-4 parallel Ephesians 5-6 in dealing with the relationship between man and wife, parents and children, and slaves and masters. It would have been a logical place to write about the submission of a congregation to its leaders, yet nothing was written. Similarly, in 1 Peter 2-3, Peter dealt with a believer’s submission to the government and a wife’s submission to her husband, but, like Paul, wrote nothing about the church’s submission to its leaders. In all the letters to the churches, it is not until 1 Peter 5 that elders are written to directly. This ignoring of the leadership is also seen in the salutations of the letters to the Thessalonians, James’ letter to the twelve scattered tribes, Peter’s and John’s epistles, and Jude. All of this implies that the elders were themselves also sheep. The elders were a subset of the church as a whole. There was no clergy/laity distinction. In the very last chapter of Hebrews, the readers were asked to “greet all your leaders” (13:24). Not only did the author not greet the leaders directly, he assumed they would not even be reading the letter! Much may be gleaned from the way that New Testament writers appealed directly to entire congregations. They went to great lengths to influence all believers, not just those in leadership. The apostles did not simply bark orders and issue injunctions (as a military commander might do). Instead, they treated other believers as equals and appealed directly to them as such. No doubt local church leaders led in much the same way. An elder’s primary authority was in his ability to influence with the truth. The respect they were given was honestly earned. It was the opposite of military authority wherein soldiers respect the rank but not necessarily the man. Hebrews 13:7 reflects the fact that the leadership style employed by church leaders is primarily one of direction by example: “Remember your leaders . . . Consider the outcome of their way of life and imitate their faith.” Along this same line, 1 Thessalonians 5:12-13 reveals that leaders are to be respected, not because of the automatic authority of appointed rank, but because of the value of their service—“Hold them in highest regard in love because of their work.” As Jesus said, “You know that the rulers of the Gentiles lord it over them, and their high officials exercise authority over them. Not so with you. Instead, whoever wants to become great among you must be your servant, and whoever wants to be first must be your slave” (Mt 20:25-28). Hebrews 13:17 instructs believers to obey church leaders. However, mindless obedience is not what is pictured. The common Greek word for “obey” (hupakouo) was used with reference to such situations as children obeying their parents and slaves their masters. However, the common word for “obey” is not found in Hebrews 13:17. Instead, the word used is peitho, which fundamentally means persuade or convince. In Greek mythology, Peitho was the goddess who personified persuasion. Consistent with this root meaning, McReynolds’ literal interlinear translates peitho as “persuade” in Hebrews 13:17. The expositor Vine went a step further and stated that with peitho, “the obedience suggested is not by submission to authority, but resulting from persuasion.” Lenski’s comment on this text is that if one allows oneself to be convinced by someone, one obeys him. In our passage, it is found in the present imperative passive form, which takes on the meaning “obey.” However, the author’s use of peitho may suggest that dialog will take place, teaching will be given, and arguments will be made in order to bring about this obedience. When someone is persuaded of something, he will act on it and, in that sense, obey it with joyful conviction. One of the qualifications of an elder is that he should be able to teach. This is because church leaders have to be eminently good at persuading with the truth. Dwight Eisenhower captured the idea behind Hebrews 13:17 when he said, “I would rather try to persuade a man to go along, because once I have persuaded him he will stick. If I scare him, he will stay just as long as he is scared, and then he is gone.” Elders are not to simply pronounce decisions from on high like Popes, ex cathedra. Ideally, the obedience of Hebrews 13:17 happens after a process of persuasion. Hebrews 13:17 further instructs believers to submit to their church leaders. However, the common Greek word for “submit” (hupotasso) is not found here. Instead, the classical Greek word hupeiko was chosen by the author, a synonym for hupotasso that means to give way or to yield. Rienecker defined it as “to give in, to yield, to submit.” Hupeiko was used elsewhere of combatants and meant to yield after a struggle. The nuance of hupeiko is not a structure to which one automatically submits (like submission to civil government). Rather, it is submission after a process, struggle, or contest has occurred. The picture is one of serious discussion and dialog prior to one party giving way. In summary, mindless slave-like obedience is not the relationship presented in the New Testament between leaders and those led. For their part, God’s flock must be open to being persuaded (peitho) by its shepherds. Leaders, in turn, must be committed to ongoing discussion and teaching. However, there will be those times when someone, or some few, in the fellowship can’t be persuaded. Congregations are made up of both mature and immature Christians, of those who walk in the Spirit and those who do not, of those with the gift of discernment and those without it—so impasses will arise. After much persuasion and prayer, Hebrews 13:17 calls on dissenters to give in to, to yield to (hupeiko), the wisdom of church leaders. This submission, however, is to come only after dialogue, discussion, and reasoning. Thus, a critical aspect of elder rule must include a commitment to building Spirit-filled congregational consensus. The secular meaning of ekklésia can be seen in Acts 19, where it is translated as “legal assembly” rather than as “church.” Two of the occurrences in Acts 19 refer to a meeting of silversmiths convened by Demetrius. Trade union members rushed into the theater (where civic decisions were normally made) to decide what to do about a damaged reputation and lost business. However, they overstepped their jurisdiction, so the town clerk counseled that the matter be settled by the “legal” ekklesia, rather than by the trade union ekklesia (Acts 19:37-39). There are many examples in the New Testament of God’s people making decisions as a body. After promising to build His ekklésia on the rock of Peter’s revealed confession, Jesus immediately spoke of the keys of the kingdom of heaven and of binding and loosing (Mt 16:13-20). Keys represent the ability to open and to close something, “kingdom” is a political term, and binding and loosing involves the authority to make decisions. Was this authority given to Peter only? In Matthew 18:15-20, binding and loosing authority was conferred by Jesus on the whole ekklésia. In Acts 1:15-26, Peter charged the Jerusalem church as a whole with finding a replacement for Judas. Later, the apostles looked to the church corporately to pick men to administer the church’s food program (Acts 6:1-6). Acts 14:23 indicated the apostles appointed elders with the consensus of the local congregation. If ever there were a proper time and place for the Apostles to make a decision alone, apart from the church, it was at the Jerusalem Council (Acts 15). The Apostles were the standard for doctrine and practice. The very nature of the Gospel had been called into question. Yet, even here, the amazing fact is that the Apostles not only included the local Jerusalem elders but also the whole church! Colin Brown observed that “in the council’s decision-making they are accorded no special preeminence . . . It is consistent with the non-authoritarian, collegiate character of church leadership which Acts consistently depicts (1:13-26; 6:2ff; 8:14ff; 11:1ff; 13:1-4).” Furthermore, 1 Corinthians 5 also reveals the church corporately has the authority to lovingly discipline unrepentant members for their possible future restoration and for the holiness of the church. Regardless of your church’s process of government, the New Testament approach would be for leaders to involve the whole church in big decisions, depending on the Holy Spirit and seeking to build congregational consensus in matters of importance. 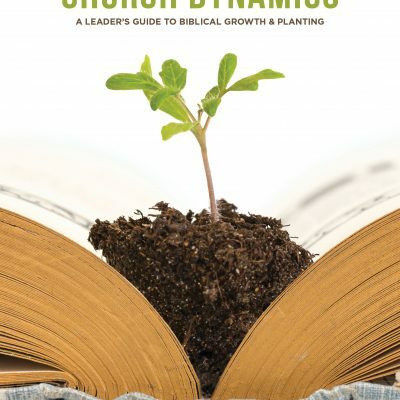 Examples include church discipline, deciding on a new meeting place, changing a doctrinal stance, appointing new elders and deacons, deciding which missions to support, or altering how church meetings are held. Early church government was a combination of plural elder rule and congregational consensus as Christ was followed as Head. It is important to remember that the process a church goes through in achieving consensus may be just as important as the consensus that is finally achieved. Consensus governing takes time, commitment, mutual edification, and lots of brotherly love. It truly can work in smaller churches, such as were found in the New Testament era. We must love each other enough to put up with each other and work through disagreements. The concept of consensus might be called government by unity, oneness, harmony, or mutual agreement. Do we really trust in the Holy Spirit to work in our lives and churches? Lest achieving consensus seem too utopian, consider what the Lord has done to help His people. First, our Lord Himself prayed “that they may be one as we are one . . . that all of them may be one, Father, just as you are in me and I am in you . . . May they be brought into complete unity” (Jn 17:11, 20-23). Because Jesus prayed this for us, unity is certainly achievable. Another provision God made for our unity lies in the Lord’s Supper. According to 1 Corinthians 10:17, “Because there is one loaf, we, who are many, are one body, for we all partake of the one loaf.” Examine the prepositions in 1 Corinthians 10:17 (“because” and “for”); partaking of the Lord’s Supper not only pictures unity, it may even create it. The church as a whole may be compared to a congress with authority to make decisions and render judgments that are binding on its members. Church leaders are congressman also but appointed to a special committee whose purpose is to study issues, make recommendations, teach, inform, or prompt the congress. Church leaders should not normally make fiat decisions on behalf of the church in lieu of the consensus process. Elders should guide, teach, suggest, and build consensus. However, when the church finds itself in gridlock, unable to resolve an issue, the elders serve as predetermined arbitrators, or tiebreakers. In these instances, those in opposition are called on to submit in the Lord to the elders’ leadership and wisdom (Heb 13:17). Spirit-filled elder rule combined with congregational consensus in major decisions gives free reign to the Holy Spirit and puts the church in a better position to discern the mind of Christ and to walk in the Light of God’s Word. Appendix C contains practical thoughts on elder-led congregational consensus. 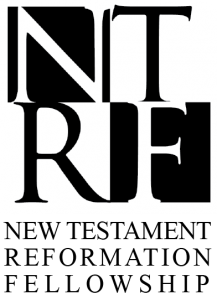 Articles, audio, and a teacher’s discussion guide on elder rule and congregational consensus can be found at NTRF.org. What can be learned about a church leader’s authority from Luke 22:24-27? To what did the Greek word ekklésia originally refer? Why do you suppose that Jesus chose a political word like ekklésia to describe His followers? What are some examples in the New Testament of God’s people making decisions as a body? What is the difference between majority rule and congregational consensus? What is the difference between consensus and unanimity? What provisions has God made to help a church achieve consensus? How do elders build congregational consensus? In Hebrews 13:17 believers are encouraged to obey and submit to their leaders. How does this square with congregational rule? How should both local church congregational consensus and universal church consensus apply to interpreting the Bible? Timothy and Titus were not local pastors. They were apostolic workers, sent by Paul to various places to organize the churches and then to move on to other locations. The letters to Timothy and Titus are called “pastoral epistles” because of their emphasis on elders, their qualifications, and their duties. The New Testament usually refers to church leaders in the plural. The idea of a single pastor over a congregation was foreign to the early church. Baurer, Arndt, Gingrich, Danker, A Greek-English Lexicon of the New Testament and Other Early Christian Literature (Chicago, IL: University of Chicago Press, 1979), 639. Other examples of peitho are found in Luke 16:31, Acts 17:4 and 21:14. “Peitho”, en.Wikipedia.org. Accessed October 5, 2017. Paul McReynolds, Word Study Greek-English New Testament (Wheaton, IL: Tyndale Publishers, 1999), 819. W.E. Vine, An Expository Dictionary of New Testament Words (Iowa Falls, IA: Riverside Book and Bible House, 1952), 124. R.C.H. Lenski, The Interpretation of the Epistle to the Hebrews and the Epistle of James (Minneapolis, MN: Augsburg Publishing, 1966), 490. Horst Balz & Gerhard Schneider, eds., Exegetical Dictionary of the New Testament, Vol. 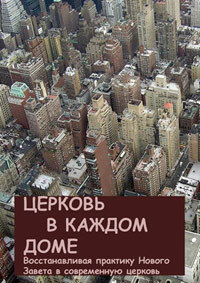 3, (Grand Rapids, MI: William B. Eerdmans Publishing, 1993), 63. QuotationsPage.com, #2662, accessed September 30, 2016. Used for instance in Romans 13:1, Colossians 3:18, Ephesians 5:21, and 1 Peter 2:13. Fritz Rienecker & Cleon Rogers, Linguistic Key to the Greek New Testament (Grand Rapids, MI: Zondervan Publishing, 1980), 720. Hal Miller, “As Children and Slaves: Authority in the NT”, NextReformation.com. Accessed October 05, 2017. Within the Scriptures, ekklésia was also used to simply refer a gathering (of Israel or the church), to the church as the totality of Christians living in one place and to the universal church to which all believers belong. Lothan Coenen, “Church”, The New International Dictionary of New Testament Theology, Vol. 1, Colin Brown, General Editor (Grand Rapids, MI: Zondervan, 1971), 291. Acts 19:32, 39, 41 (NIV). “Theater,” Ephesus.us, accessed September 1, 2016. There was so much confusion the majority did not know why they had been summoned. Matthew 16:13-20 & 18:15-20. In the Septuagint, wilderness gatherings of the ancient Israelites were called an ekklesia. “Paul and Barnabas had elders elected” (footnoted alternative translation, NIV). Colin Brown, Vol. 1, Dictionary of New Testament Theology (Grand Rapids, MI: Zondervan, 1981), 135. G.W. Kirby, The Zondervan Pictorial Encyclopedia of the Bible (Grand Rapids, MI: Zondervan, 1982), 854. Donald Guthrie, New Testament Theology (Downers Grove, IL: Inter-Varsity Press, 1981), 741. Because the early church met in the private homes of its wealthier members, each congregation was necessarily smaller rather than larger (scores of people rather than hundreds or thousands). More can be read on this in Appendix C and at NTRF.org. Aristotle’s Rhetoric, Book 1, Chapter 2.